To Dog With Love: PawPawty to benefit Santa Paws Drive this weekend! PawPawty to benefit Santa Paws Drive this weekend! 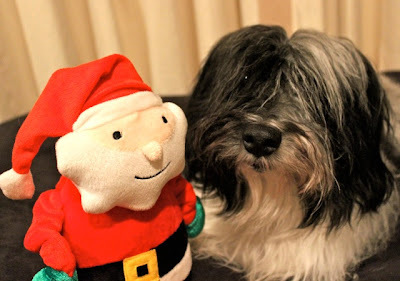 Come join us for 24 hours of festive fun as this month's PawPawty is being held to assist Santa Paws Drive, the first-ever online toy drive for shelter pets worldwide. This year, Santa Paws Drive is focusing on shelters and rescues that help special needs and less adoptable pets... FIV+ cats, senior pets, retired Greyhounds, black dogs and cats. 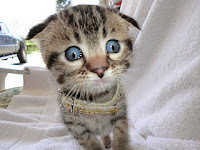 These are sweet animals who have been dealt a trickier card in life but still deserve all the love and attention as any other pet -- maybe even more so! 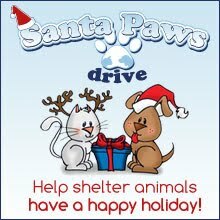 Learn more about the Santa Paws Drive shelters here. Why: Because special needs shelter pets need some holiday joy too! All cash donations made during this PawPawty will be matched by Greenies, up to $1,000! You don't have to attend the event for your donation to be doubled, just donate during event hours. Donate toys, treats and cash. 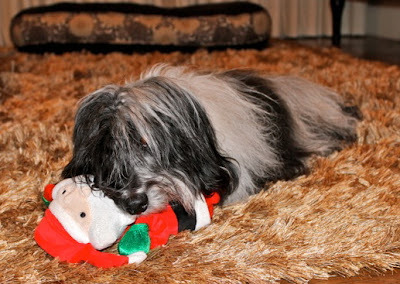 The story behind Santa Paws Drive. Read about how it all began. Over $1,000 in prizes for just $1 a ticket. Check out some great raffle prizes with items from Greenies, Modern Cat, Kritter Kondo, BZTAT, SturdiProducts, P.L.A.Y. 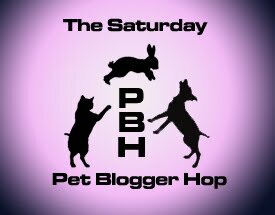 Pet Beds, Pet Fusion, Bissell and Freaky Dog People! Wow! Cosmo and Santa say come on down and have a good time at #PawPawty! There'll be plenty of time to nap and pawty too! In the meantime, let's visit with some fabulous pet blogger pals in the Saturday Pet Blogger Hop!